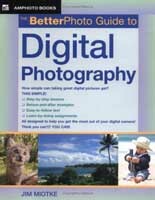 The Betterphoto Guide to Digital Photography course is part of a series of photography courses offered by veteran photographer Jim Miotke, founder of the award-winning and CNN endorsed BetterPhoto.com. In this easy to understand, full color digital photography course, students will have the chance to learn the tricks of the trade from a network of seasoned photographers from all industries and professional backgrounds. This digital photography course is a great beginner’s resource to get started with capturing stunning photographic images right out of the box. From learning the critical basics of digital camera and lense use, to filters, lighting, balance and more – students will have the tools they need to be successful in the exciting world of photography. We found The Betterphoto Guide to Digital Photography to be a very modern digital photography course, full of helpful information and step-by-step instructions on how to take great photos as a digital artist. While the course focuses on standard digital SLR cameras, it also gives students a glimpse into the use of all other kinds of digital cameras that are typically found on mobile devices and compact models. This means you do not necessarily have to invest a fortune in a digital camera to take advantage of The Betterphoto Guide to Digital Photography course. Every chapter of The Betterphoto Guide to Digital Photography is not only filled with detailed instructions and checklists for getting the best images, but there are fun assignments and example images to use as a guide while practicing the principles found therein. That empowers photographers to work harder at taking professional quality photos and reaching higher levels of professional achievement. While most of the chapters focus on useful camera and lighting techniques, you will also find sections devoted to today’s photo editing and file management techniques that prepare photographers for post-production publication and printing of images for use in books, magazines and more. The Betterphoto Guide to Digital Photography is an astounding deal for the novice photographer looking for an inexpensive digital photography course, when you consider that the BetterPhoto courses normally run between $200 to $400 per class online. This means you can gain access to many of the same materials and useful tips for a fraction of the price of the full class when you get the downloadable eBook version of this module. You will also want to browse through the other BetterPhoto courses, as they will help you to bloom as a photographer. Be sure to check out The Betterphoto Guide to Digital Photography for yourself by clicking the link below, and feel free to read our other reviews of the top digital photography courses available today.